This is the largest volume capacity of our portable workshop series of air compressors fitted with a single phase electric motor. Combining a 110 litre air receiver. These units provide industrial strength portable air for in the workshop or in the field. Ideal for Filter or parts cleaning and spray painting. 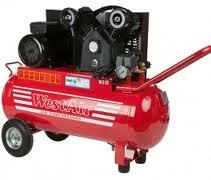 * Please call us for any questions on our air compressor electric 15cfm hire & rentals, serving Perth & Western Australia.